Dishonored 2 is the highly-anticipated first-person action game and follow-up to Dishonored – recipient of over 100 ‘Game of the Year’ awards in 2012. Developed at Arkane Studios, the game has been released in November 2016 on the Xbox One, PlayStation 4 and PC. 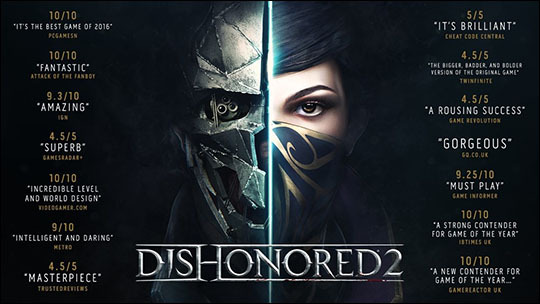 More info about Dishonored 2 on Steam.